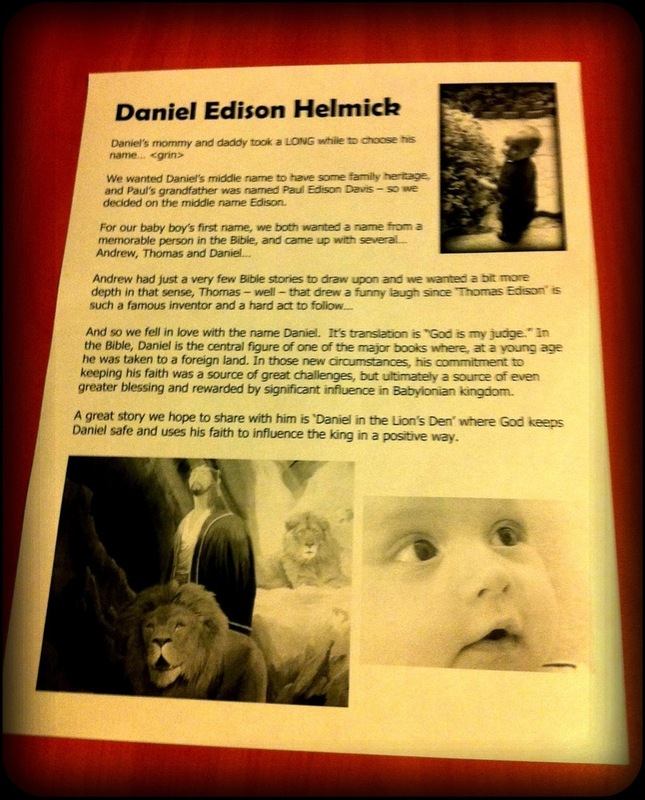 Daycare asked us to share why we chose the name Daniel. I put this together. Kristen and called me an overachiever!